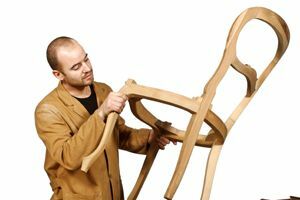 Where do you need Furniture Repair Services? Comment: Need 12 original knobs reinstalled on antique quarter cut oak housekeepers cupboard, and reattach top os Spanish deak, plus lots of different key types to work different lock sets on collection of antuque dressers, chests, cabinets etc. thanks for getting back ro me on Monday 3/11. Comment: I have a leather chair with an ottoman, and the leather on both the chair cushion and the ottoman is ripped and split and I was hoping it could be fixed. Comment: frame and springs need repaired. Ruble Artistic Furniture Restoration Inc.
Miamisburg Furniture Repair Services are rated 3.42 out of 5 based on 193 reviews of 4 pros. Not Looking for Furniture Repair & Refinish Contractors in Miamisburg, OH?